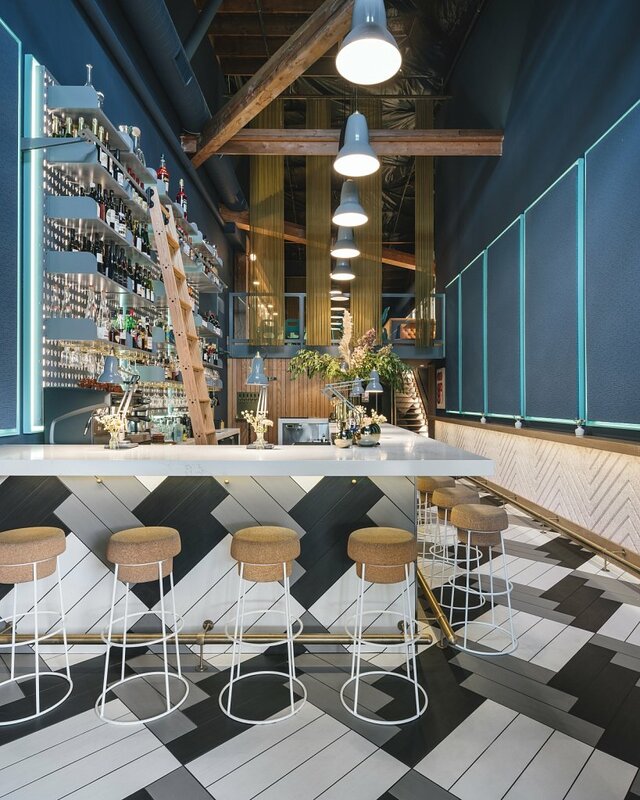 Portland’s Enoteca Nostrana wine bar aesthetics were inspired by Memphis Group. 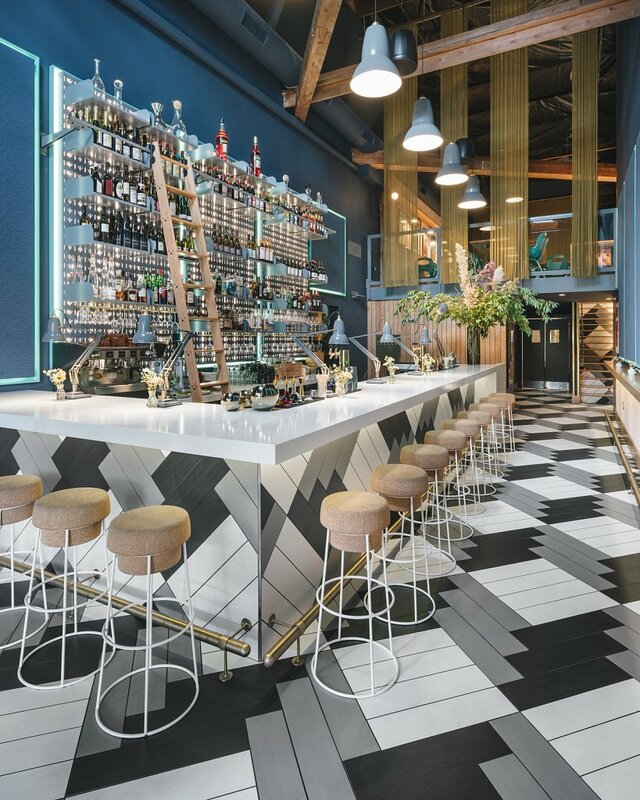 Geometric details are everythere, including on the floors and staircase risers and fronting the 15-seat quartz-topped bar where ceramic tile from Crossville was installed in an intricate pattern created by Portland-based architect Rick Potestio. Bouchon bar stools from Italian design studio Radice Orlandini resemble Champagne corks. The seat is natural cork atop a steel base. The Original 1227 lamp, designed by George Carwardine for British brand Anglepoise, appears in its pendant, desk and floor lamp forms throughout. 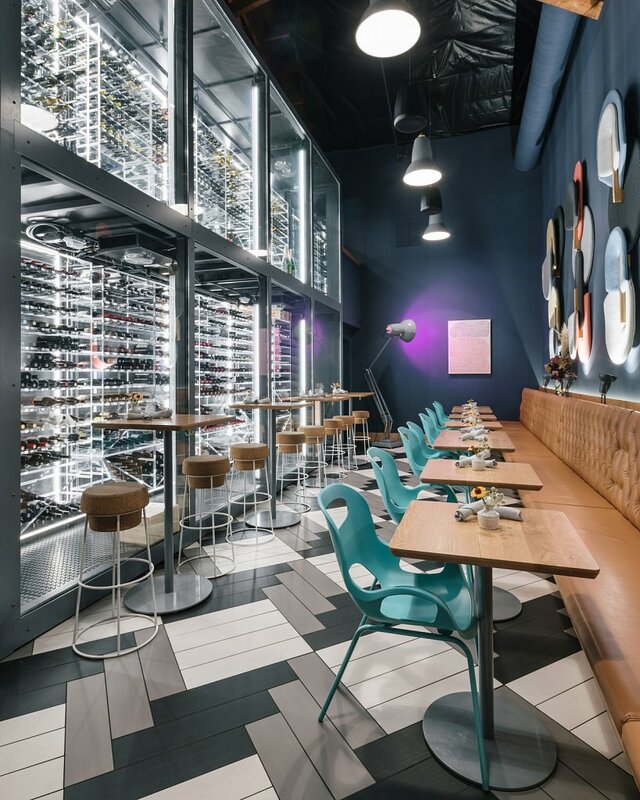 Dining chairs are designed by Karim Rashid for Toronto’s Umbra label. Chef Cathy Whims.